Ok, I know it’s been awhile since I posted a hint or tip to this blog. Things just seemed to happen to keep me from getting back to it any sooner. This blog is about more than just saving money making quilts or doing machine quilting. It’s about anything I can show others about saving money. In times like this; when the cost of absolutely everything seems to go up overnight; it’s more important than ever to do what we can to keep our expenses down. Fewer people can afford to make quilts or have them machine quilted if their money is going for other things like utilities or food. Remember these from a few days ago? That’s the window plastic I bought back in the early spring when it was on the discount table. 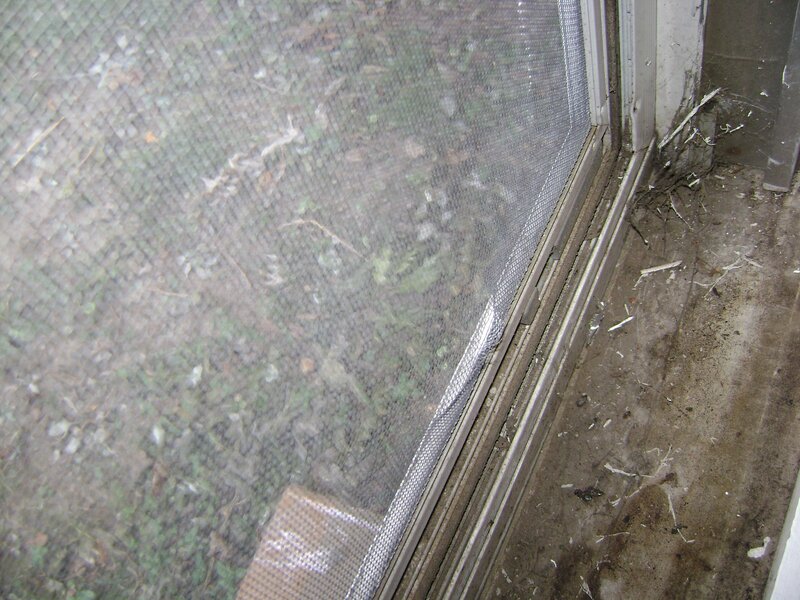 My windows are the old single pane kind that have sliding storm windows which aren’t very tight. Lots of cold air leaks in around them or maybe it’s the other way around…. lots of heated air leaks out. I can’t afford to be heating the outdoors. I want to keep as much heat inside as possible so my furnace doesn’t run all the time. A running furnace costs lots of money these days! Well yesterday I decided instead of stressing over a quilt on my day off; it was time for me to start changing the plastic on my windows. I keep the plastic on year round and redo it each fall. What keeps out the cold of winter also keeps out the heat of summer. Extreme stress over high utility bills can keep me from doing my best at quilting. 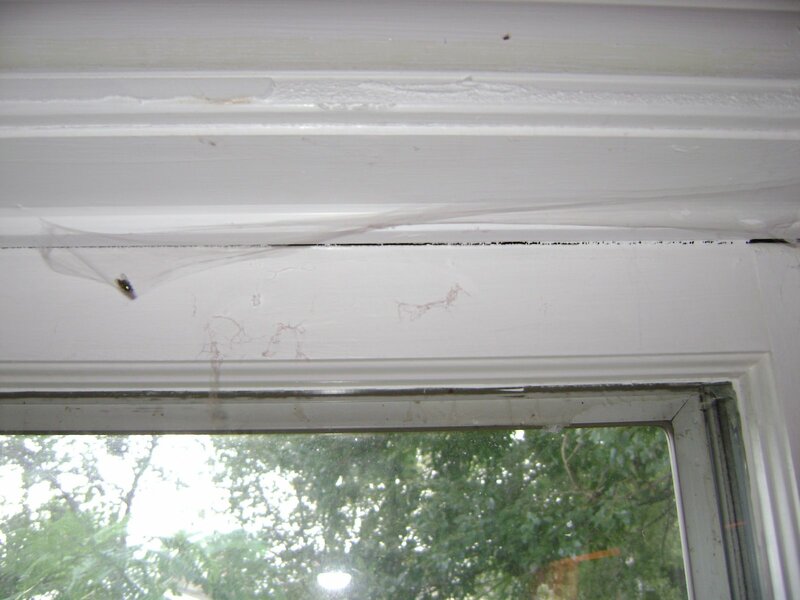 Believe it or not there are some people who don’t know exactly how to put plastic on windows. They try…. but if never taught how to do it properly…. will get frustrated and not do it again. Or it won’t work the way it should to keep the rooms warmer. 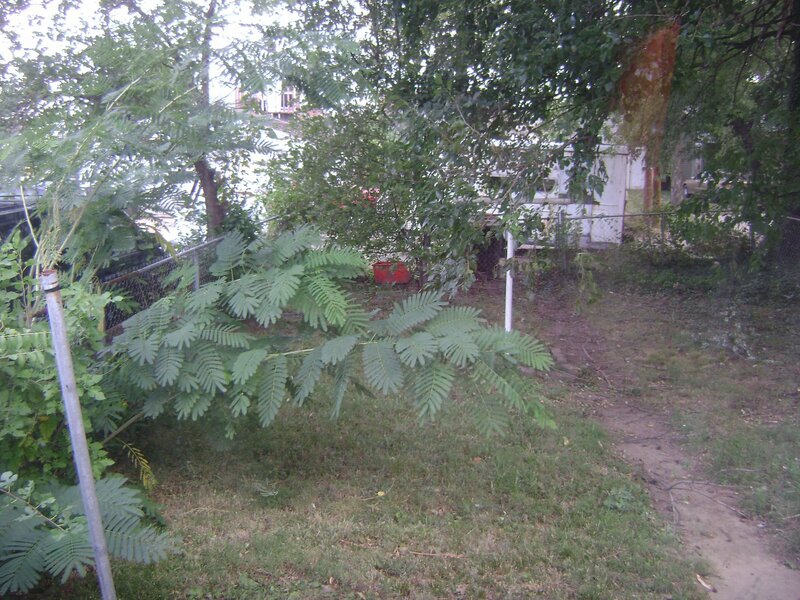 Some people believe plastic blocks the view from outside….. not true….. it depends on the type plastic used. So here are the windows in my bedroom before I start. You can see I have plastic on there already. I can see outside just fine. The current plastic has come loose in places and isn’t working. The cloudy view through the plastic comes from it not being tight. 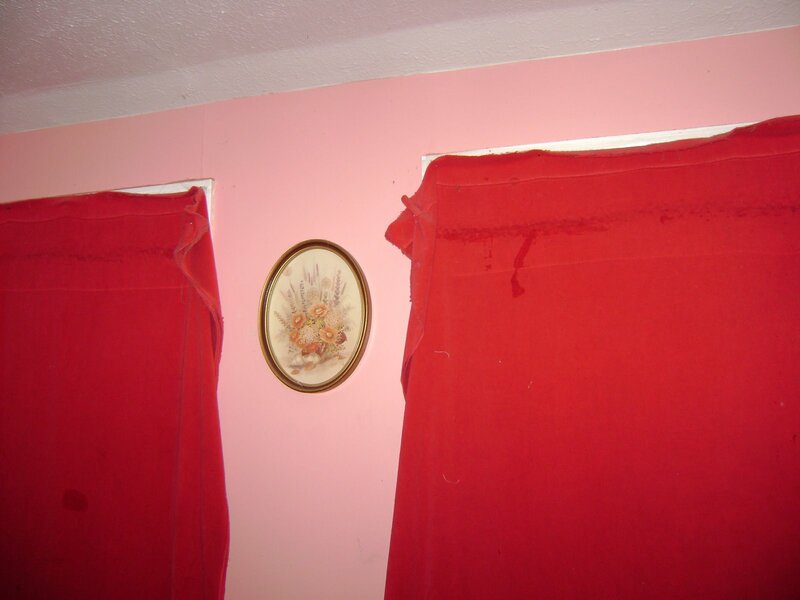 Also, I want to change the nailed on fabric…..
to putting up these velour curtains which have been sitting on a shelf for more than a year. Here is a close up view of how I have fabric nailed up. At the time I hung this fabric I was extremely busy and felt I didn’t have time to do more. It was supposed to be a temporary fix…. that’s lasted about a year…. or is it two years? Or three? At that time; I had taken down my window quilts to wash them. Taking the quilts down I realized they had started to fall apart from age and sunlight damage. My intention was to make more window quilts as soon as time allowed. I didn’t know it would take so long. So now I’ve removed the fabric and the old plastic. Geeze…. creepy things set up house in there. It took me a little while to break the paint seal that kept my window closed. I wanted them open so I could clean up the creepy nests. Looking out my window you can see the jungle that really needs some attention too. 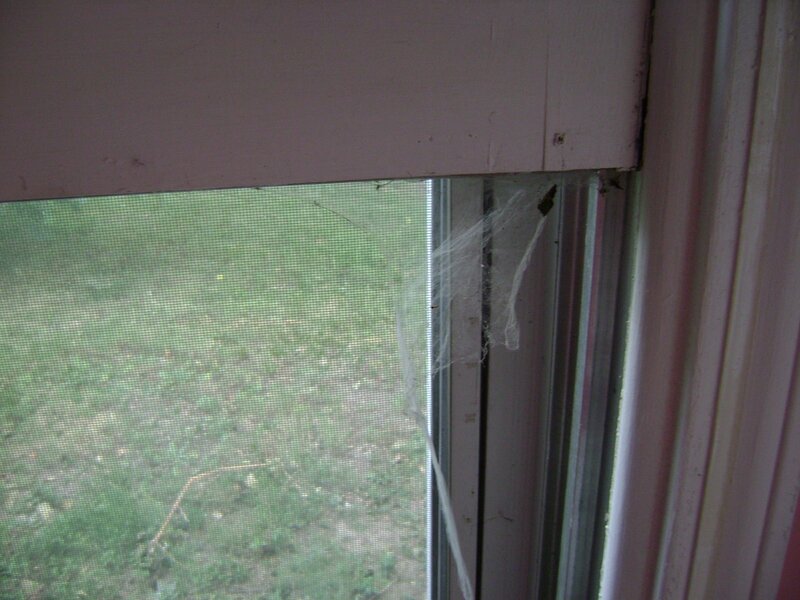 I opened the window to clean up more creepy nests….. eeeeeuuwww…..
That’s when I noticed this tear in my screen. 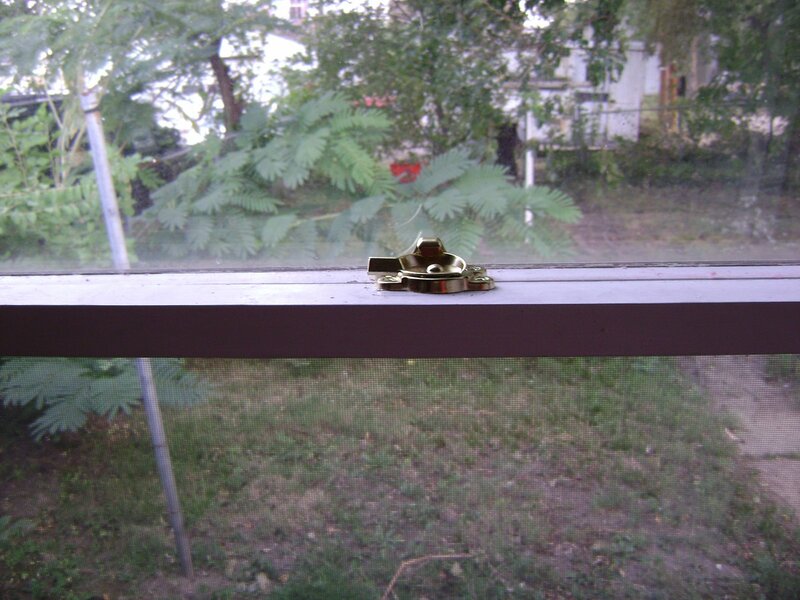 At first I thought someone had tried to break into my house by trying to open the window. After some thought I realized a thief wouldn’t cut a slit….. he would rip out the whole screen. So more likely this damage was done during a storm or something. I put ‘patch the screen’ on my things to do list and hopefully will get around to fixing it next spring. Well now….. I guess it’s time to install the new locks that have been waiting on me too. Don’t worry, a thief couldn’t have gotten in with the windows painted shut…. unless he broke a window…. in which case the lock wouldn’t have done any good anyway. While I’m at it I also installed the new handles. Now that I’ve cleaned up all the creepy things and washed household grime and dust off the frames; it’s time to start putting the double sided tape on the frame. This tape is not supposed to seal the plastic. It’s only a holding device for the plastic to stay in place. 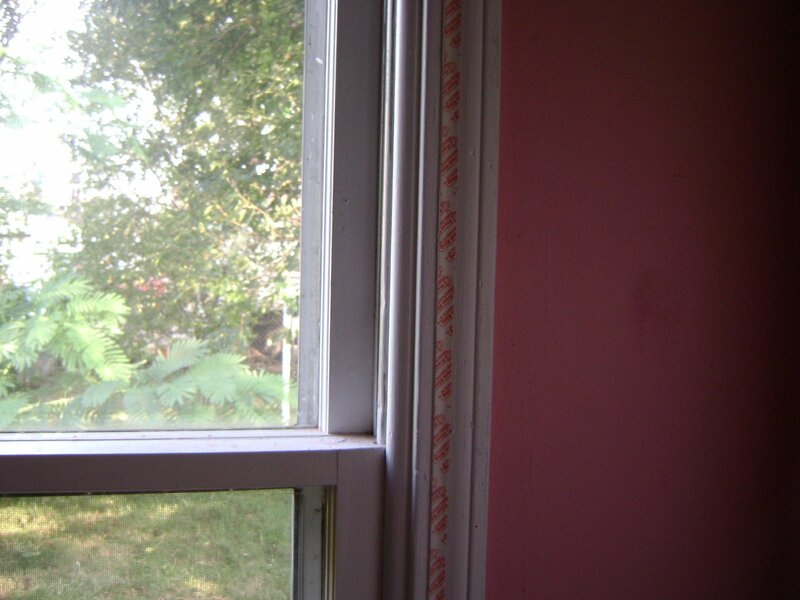 I place the tape near the inside edge of the window facing. It goes all the way around the window. Next it’s time to cut the plastic. 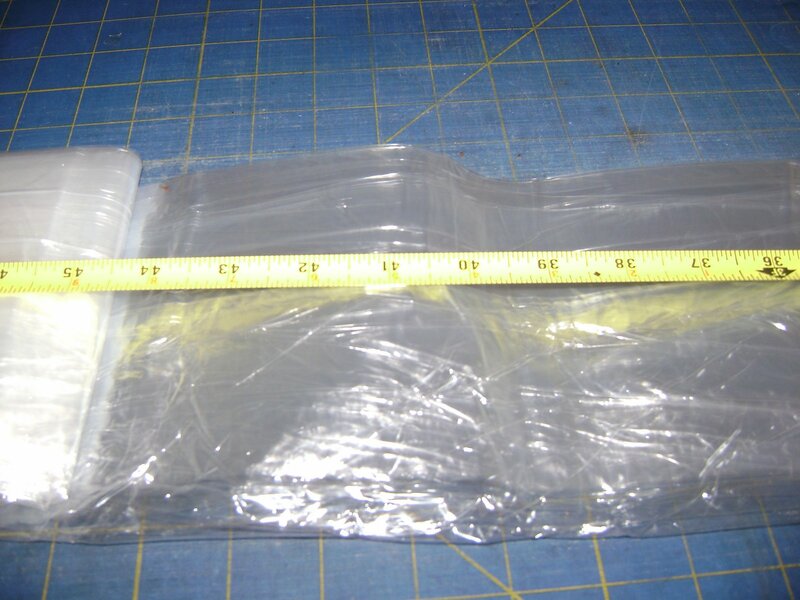 In cutting; you need to remember to treat the plastic like you would folded fabric. In this package; I know the width (folded selvage to selvage) is 120 inches just like I know fabric has a width of 40 to 44 inches from selvage to selvage even when folded. I measure 42 inches of length which is just a bit over what I need of 38 inches (side to side) for my windows. I cut the plastic with an old blade rotary cutter or with sissors. Next step….. this is when the cut plastic piece gets unfolded. 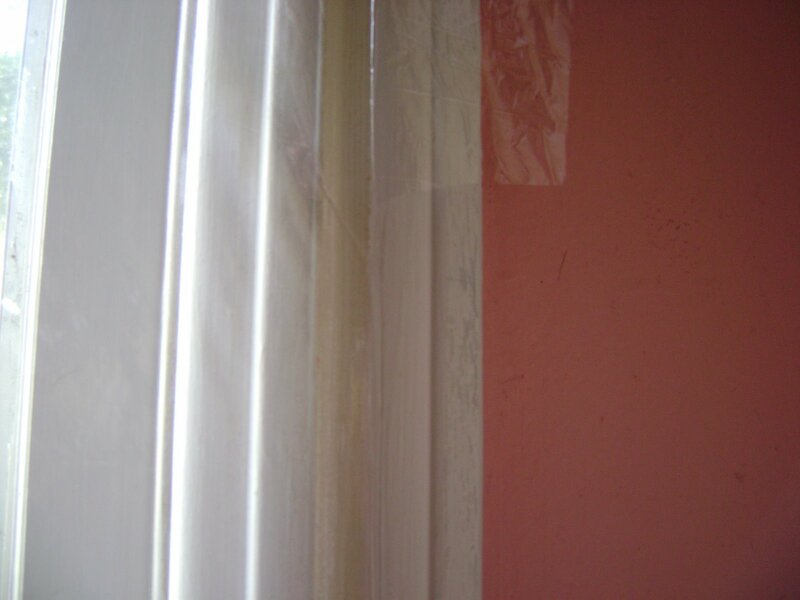 I start at the top of the window and place the the top edge of the plastic on the tape. Coming down each side I stick the plastic to the tape with just a bit of tug to keep it only slightly taught. As you can see there is excess plastic outside the double sided tape. Plastic is rarely folded squarely since it’s all done by machines. I allow excess to be sure I cover the whole window. At the bottom I have some extra fullness (instead of taught) because of how my windows are made. The little lip at the bottom needs more excess. Now that I’ve got the plastic positioned on the window and held by the double sided tape; it’s time to trim off the excess. I cut it with a craft knife…. about a quarter inch beyond the edge of the tape. All quilters know about quarter inch…. right? The next step is when you actually seal the edge of the plastic. It requires the use of this package tape. 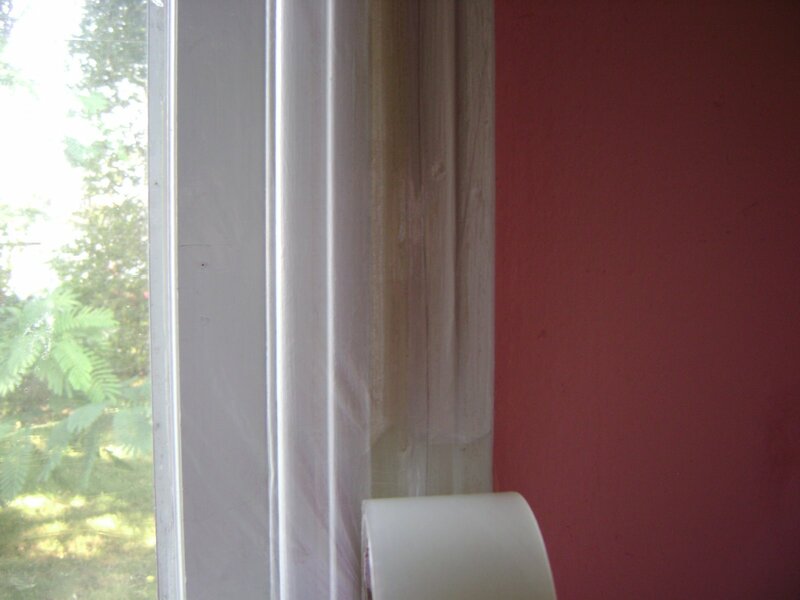 Without it you may find your plastic pulling away from your window frame or the double sided tape during very cold weather. This tape is put on the plastic… centered over the double sided tape…. and onto the window frame. This is what actually seals the plastic to prevent air going out or coming in around the plastic. Using a hair dryer will also make this type plastic very clear…. almost like glass. Be very careful not to over shrink your plastic though. It could pop and tear if the wind blows too much during cold weather. 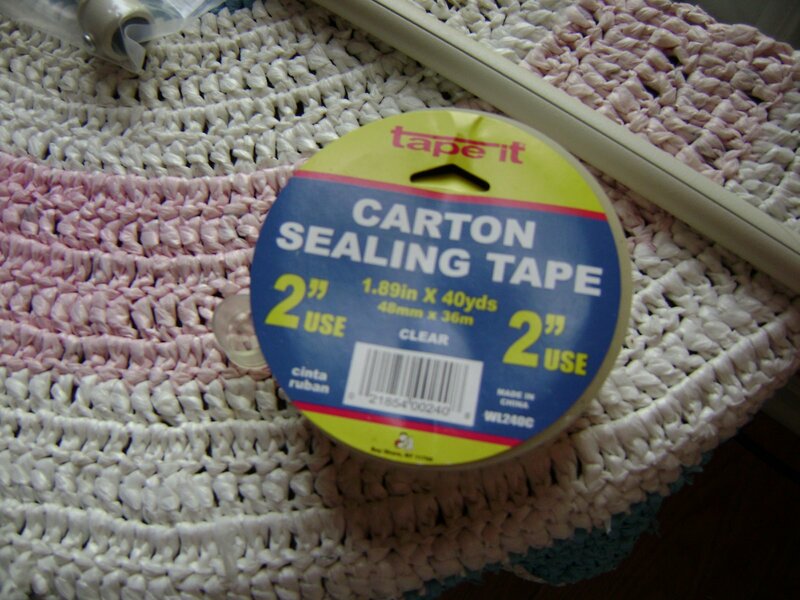 A small tear can be mended with a bit of package tape. 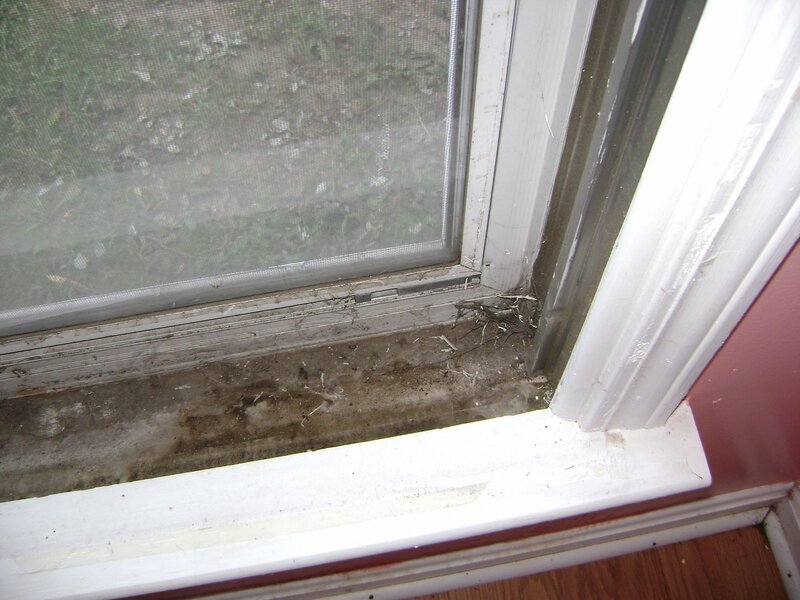 Now there are obviously going to be people who don’t like plastic on their windows because they feel it isn’t “pretty”; but, what’s more important when it comes to your hard earned money…. pretty or functional? For me; pretty isn’t nearly as important because I don’t like giving away my hard earned money to a utility company. I would rather spend my money on more fabric or a trip to a quilt show. It seems this room is finished. Well…. almost. I still need to make the window quilts to go behind the curtains. Also, in hanging the curtain rods I realized I need longer brackets. 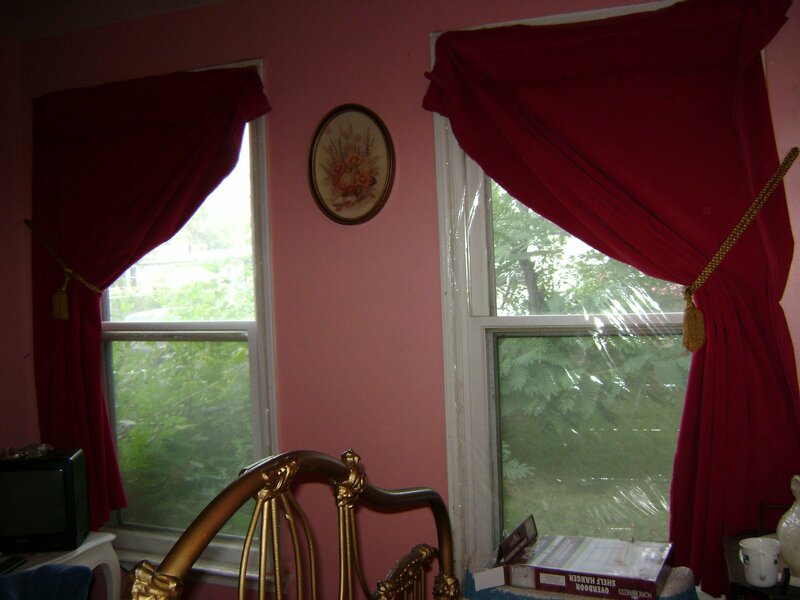 These just aren’t long enough to accomodate a rolled up window quilt behind the curtains. Now where on earth did I store the metal pull back brackets? Maybe I’ll find those as I continue to work in other rooms. For now the old rope tie backs will work. They kind of go with the decor of the room anyway. 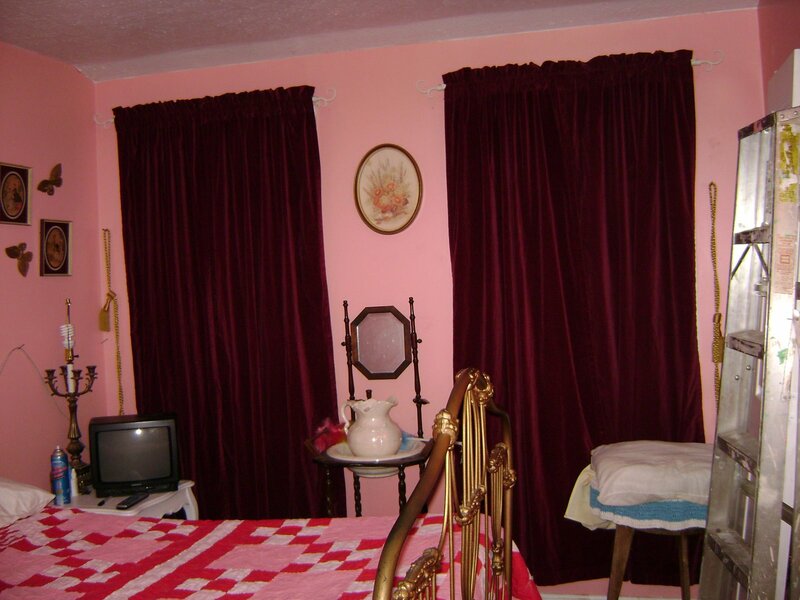 For those who might be interested; the bed and most of the items in this room belonged to my great-grandmother. She and her husband ran a riverboat up and down the Green and Salt rivers carrying freight. Sometimes they were away from home for several days. 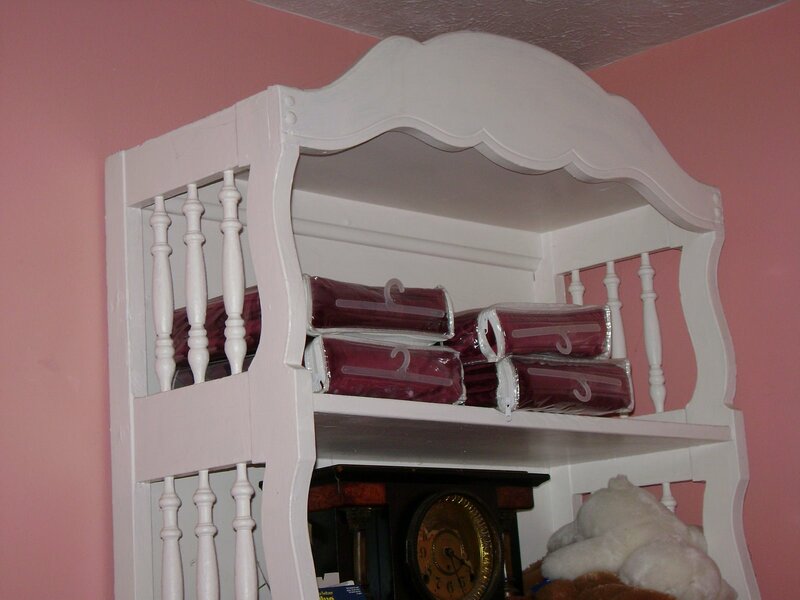 These items were on their riverboat and are my treasures. Also, for those who might wonder…. yes, the tape does leave a kind of residue behind on the frame when it’s taken off to replace the next year. I don’t let this bother me. I call it bonus tackiness which also helps seal out cold air. 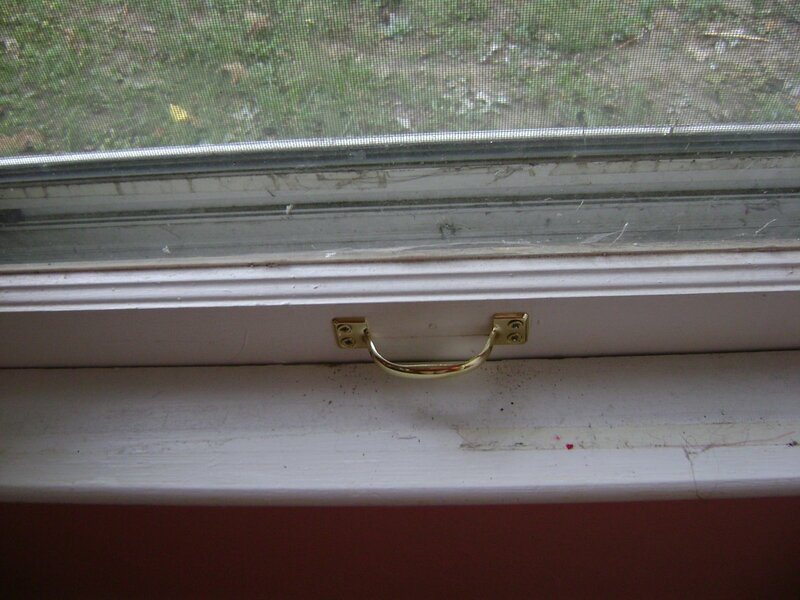 As long as I have these old windows…. I’m gonna have plastic on them. 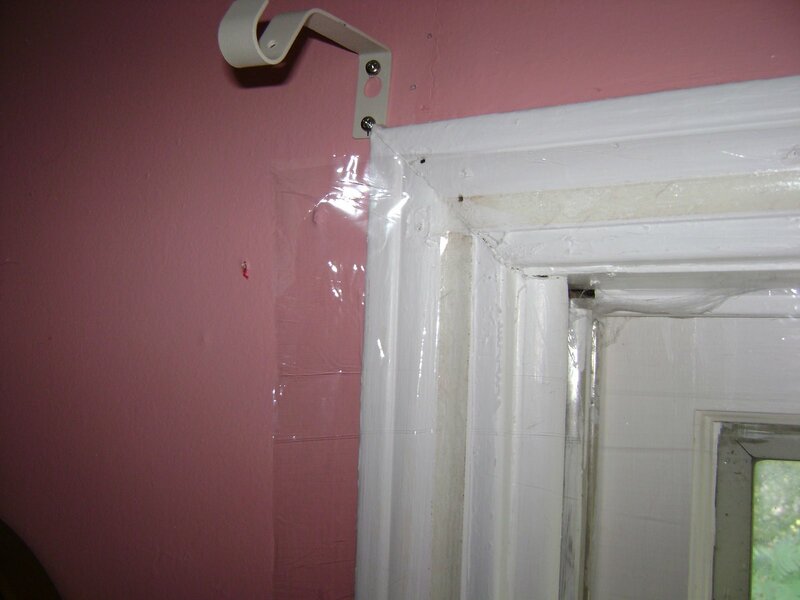 The sticky stuff will build up over time but it won’t matter if I cover it again with more tape. If I ever go to the expense of replacing the windows there will be new frames around them so why stress about sticky stuff on these old ones? I hope this post has been helpful to someone…. somewhere….or will someday. 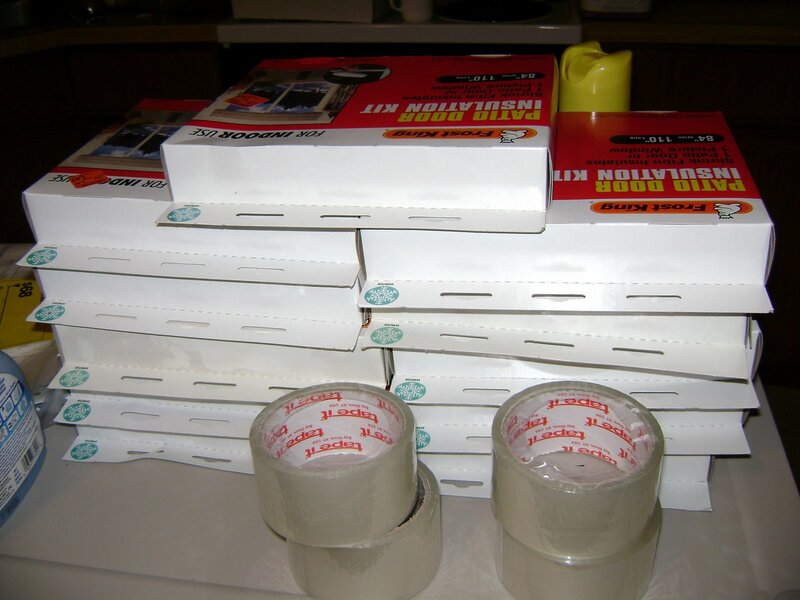 Randomly found this tip on google when, after hours of putting plastic up on my windows, the double-sided tape all came off the wood and my hard work was for nothing.I will definitely try the packing tape, though! It probably will solve most, if not all of the “tape coming off” problems. 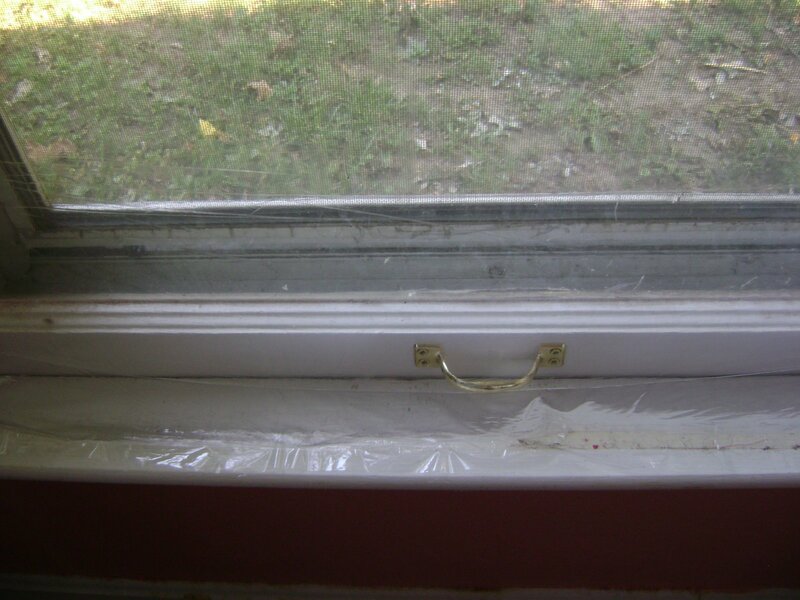 This entry was posted on September 22, 2008 by Anita in ENERGY SAVING IDEAS, How to put plastic on windows.